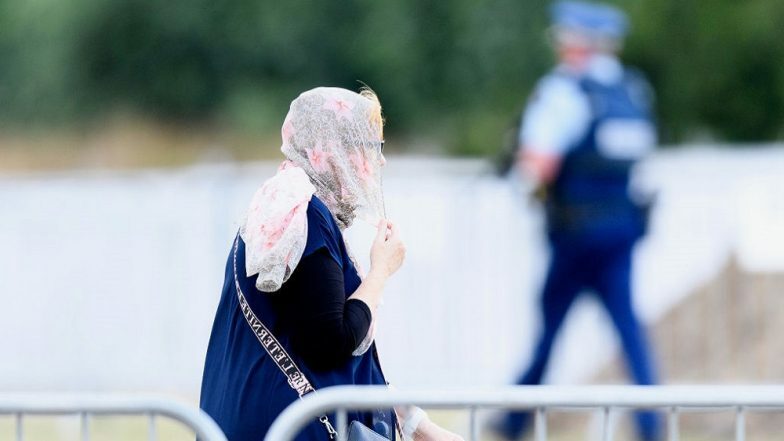 Auckland, March 21: 'Scarves in Solidarity', the campaign headed by activist Raewyn Rasch, has organised a nationwide 'Headscarf for Harmony' event on Friday to express solidarity with the Muslim community. New Zealand Prime Minister Jacinda Ardern, who is supporting the campaign, has also announced that the national broadcaster will be airing the Friday's call for congregational prayers live as a mark of respect to the 50 victims who were killed at two Christchurch mosques last week. A 2-minute silence will also be observed to mourn their demise, she announced. Supporting the 'Headscarf for Harmony' programme, Ardern said it is essential for the New Zealand residents to reiterate their nation is "inclusive" and continues to welcome people of all faith, culture, race, gender and societies. Ardern said even a fraction of fear, if penetrated among the country's Muslims, will indicate a success in the efforts of the far-right terrorists who attempted to marginalise the minority community with the fatal attack. The Prime Minister, however, agreed that subscribers to the hate-driven anti-Islam ideology are present in her nation, "no matter how minuscule their are". Her government, she said, is taking conscious efforts to root out the ideology which is targeted against the immigrants and Muslims.